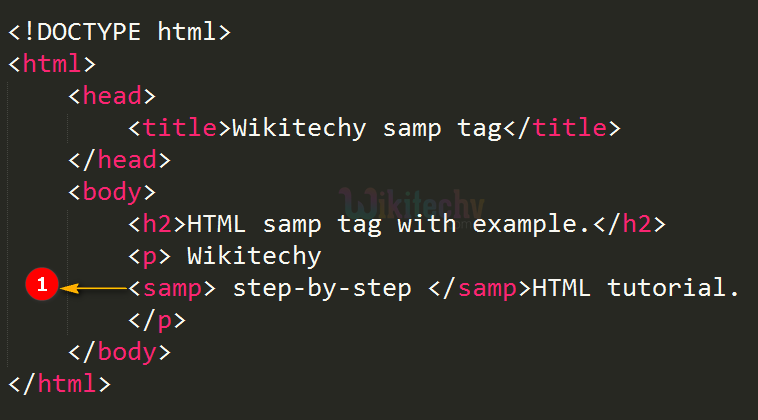 <samp> tag is defined as sample output from a computer program. <samp> tag is also known as Phrase tag. Generally, the <samp> tag is displayed in the browsers with monotype font. (Such as Lucida console). <samp> tag supports Global and Event attributes. <samp> tag belongs to Flow content, Palpable content, and Phrasing content category. <samp> element is displayed in monotype font. “step-by-step” will be displayed in different font.